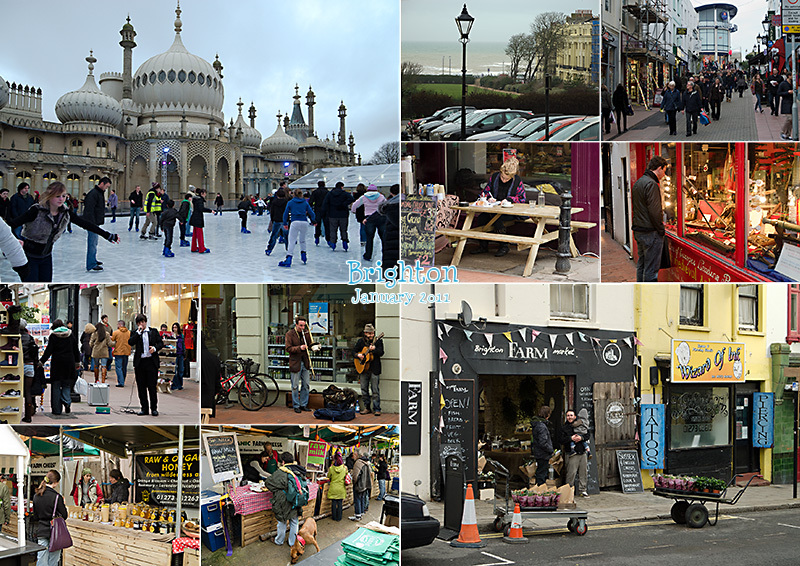 Brighton can be colourful even in January. The Lanes have browsers and buskers; skaters are enjoying the winter ice rink on the lawn in front of the Royal Pavillion. It's even warm enough to sit outside for a latte! Stalls in the the farmers' market are offering produce direct from the farm with flowers or plants from the nurseries. Right next door, one of the tattoo and piercing shops is open for business.